What Does 1 Peter 4:5 Mean? Preparation for the coming of the Lord was a watchword in the days of the apostle Peter, and it continues to be an increasingly important guiding principle for us today - for the time of Christ's return is closer than when we first believed. As Christians, we are to remember that the Lord Jesus suffered in the flesh, for our sake - so that we could be saved by grace through faith in Him. But we are to translate that eternal truth into reality, in our own Christian walk. The love and grace He showed to us, when we were lost sinners, is to be reflected in our own lives, as we arm ourselves with the same Christ-like attitude, and a corresponding godly purpose - as we travel through life. Before our salvation, we were simply part of the world, and were participating in the lusts of the flesh and the pride of our self-life. Before we were saved, we can recall the various fleshly desires, that caused us to pursue after sensuality, and the little lustful leanings of the world together with the foolish, flighty fancies of the flesh. 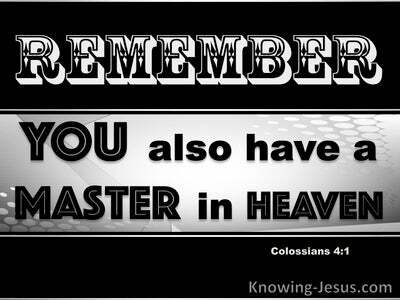 We know about the carnal cravings, which are sought after by those that are dead in their sins and at enmity with the Lord - for we were once immersed in sin and estranged from our God and Saviour. But it is God's will that after salvation we put away such worldly pursuits, and leave that old life behind us, together with those former desires, as we press towards the goal of our calling - just as the Lord Jesus, set His own face as a flint towards Jerusalem, the cross and the redemption of mankind. The Lord Jesus, Himself, was hated and despised by the men and women He came to save. But just as He was vilified, and treated with contempt, by priest and people alike, so we, in like manner, should not be upset or surprised when we encounter the same, insensitive treatment as He did, or are maligned by those we seek to help. Jesus Himself told us, they hated Me without a cause, and they will hate you too - for although we are in the world, we are not of the world, even as the Lord Jesus was in the world for a season, but was not part of this fallen, world system. My kingdom is not of this world, He told Pilate,Christ's coming kingdom will be based on heavenly principles and godly wisdom. Although Jesus is God's anointed King, Who will one day rule and reign over of the whole earth, Christ's kingdom is not of this unrighteous world system, which must first be destroyed... before He returns to rule and reign in righteousness, together with those who have trusted Him as Saviour. 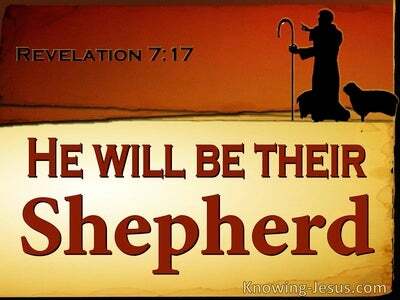 But the day is coming when He will smash the current, despotic ruler of this world - whom the Lord shall consume with the spirit of His mouth, and shall destroy with the brightness of His coming. 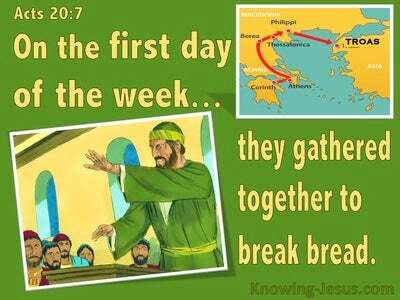 In like manner, we are also strangers and sojourners, in a foreign land, which has not yet been subdued. We are sons of the kingdom and citizens of a heaven, with an eternal inheritance - and should act in a way that honours our God. There are many injustices that Christians unjustly received from those that are slaves of Satan and enslaved by sin, but we are not to take the law into our own hands, when we are maligned and mistreated. Vengeance is mine, says the Lord, I will repay - so we must leave it in His hands. 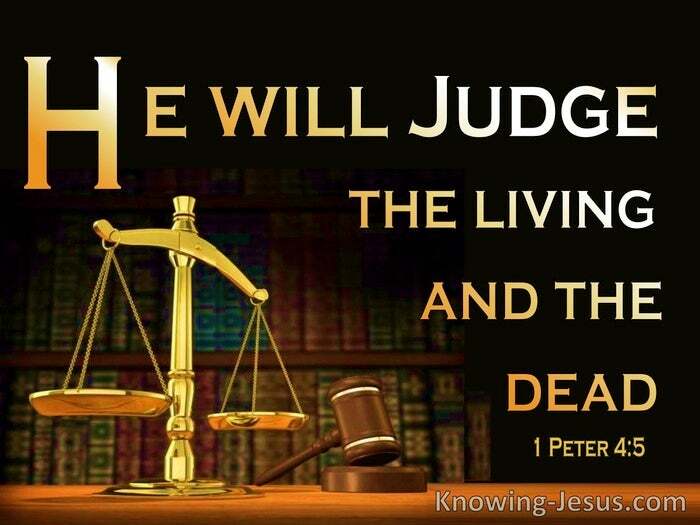 We must never forget that everyone will one day be required to give an account of himself to the Lord Jesus, Who is ready to judge the living and the dead. Everyone who has maligned and mistreated us in this world will be required to give an account of themselves to the Lord Jesus, Who is currently seated in heavenly places, and interceding, on our behalf - and on behalf of all His children. 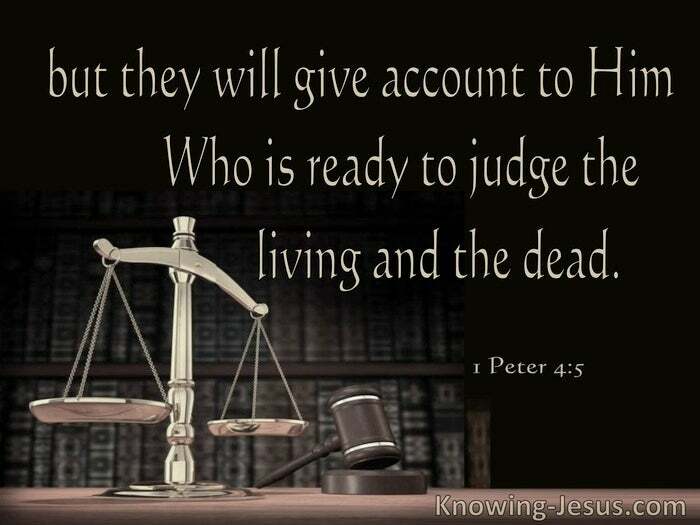 But the day is coming when those who refused His offer of salvation, and caused His people much pain and grief, will give an account to Him - Who is ready to judge the living and the dead.